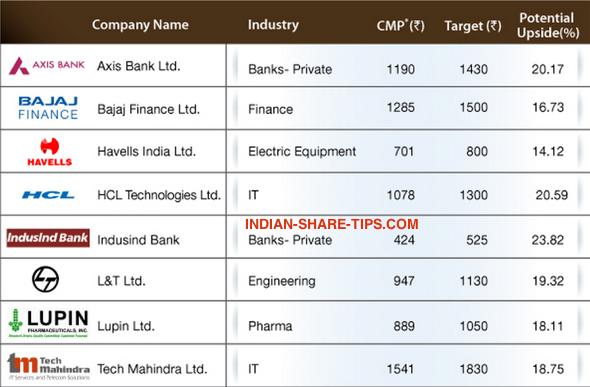 Looking for Deepawali picks; then look no further as the below stocks have been selected post through analysis and you will realise good returns by investing in these Diwali bumper stocks. We always believe in providing you in realistic returns and this is the reason we never promise moon. Thus you will find that we are giving realistic returns. Have a look at below screenshot which provides you good stocks for investment and prices have been adjusted as on 28 Oct 2013. As a rule of investment; do not invest more than 10% of your capital in each of the recommended stock. If with equity market; your principle can be safe and you can beat inflation; it means that you have made a killing. If Holding is not your cup of tea then none can beat returns in intraday by using the best intraday tip which is a single call for the day which yields profit daily irrespective of the condition in the the market.